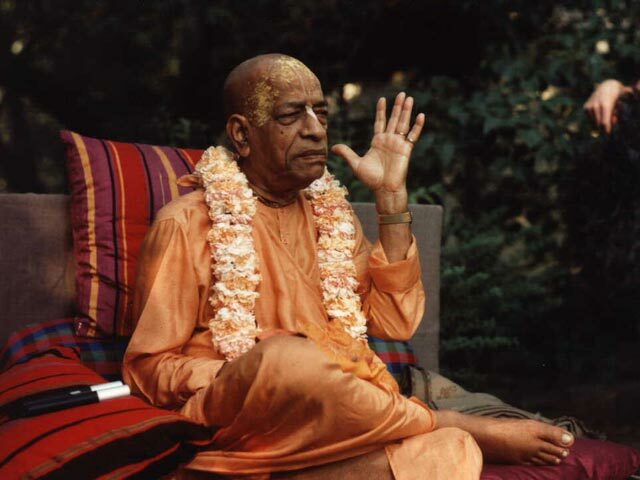 In September 1965, His Divine Grace A.C. Bhaktivedanta Swami Prabhupada left the shores of India to fulfill the prophesy made five hundred years ago by Lord Chaitanya that His names would be chanted in every town & village of the world. In this Kali-Yuga, the centers of Krishna Consciousness are like oases in the desert. One such oasis of spiritual shelter will be the ISKCON Sri Sri Giridhari Dauji Temple. Srila Prabhupada has delivered Sri Sri Radha Govindaji to the whole world. It was his expressed desire to have a very beautiful ISKCON Temple in Jaipur.
" So I want to open a duplicate Krishna Balarama temple in Jaipur. I am sending separately copies of pictures of our Krishna Balarama Temple in Vrindaban. Of course there is also Radha Krishna and Gaura Nitai. I wish That You have some land in Jaipur and help us in constructing a temple like in Vrindaban." "Windows to the Spiritual world"